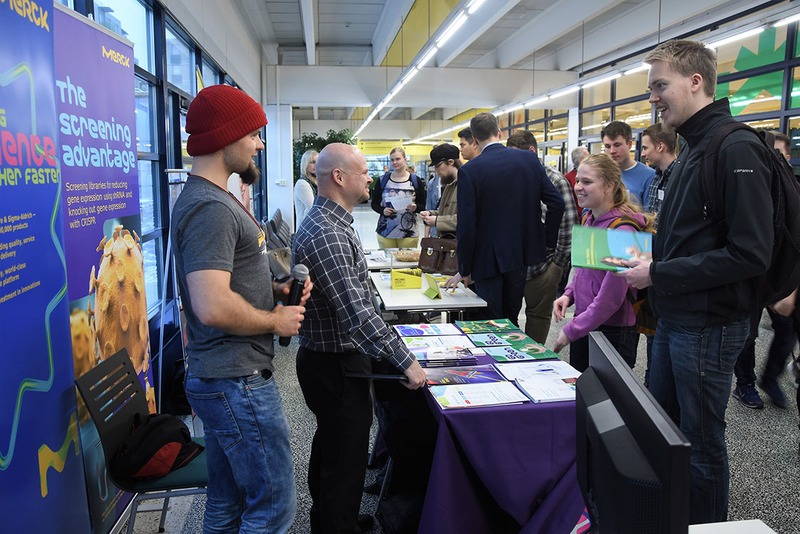 NSMB – Natural Science Meets Business, a new exhibition event for natural scientists was organized for the first time on Tuesday 14th of November in the Linnanmaa Campus of the University of Oulu. 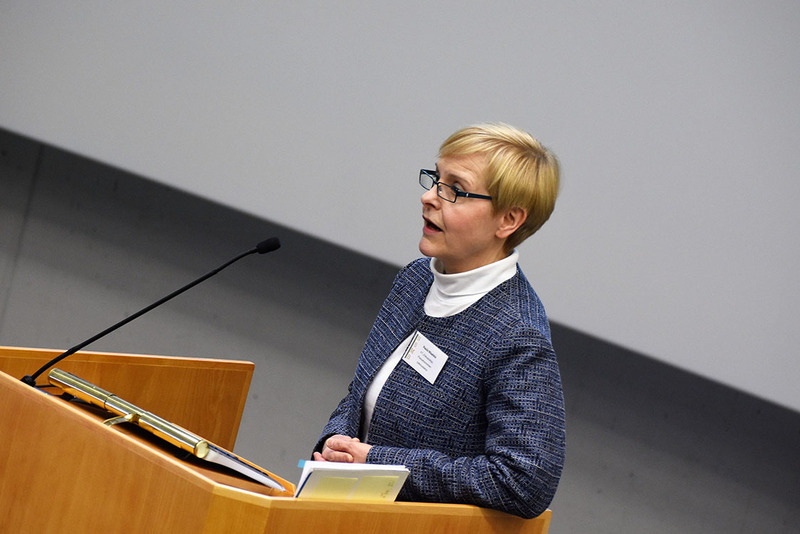 The idea of the event was to unite natural science professionals and students from academia and companies. 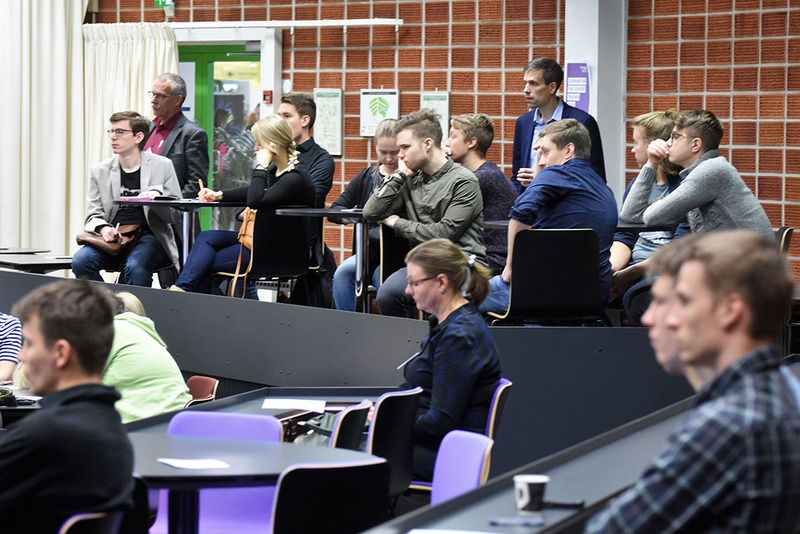 In particular, the NSMB event sought to bring together the academic knowledge and the companies, and to encourage students to contact the companies to facilitate their integration into the working life. 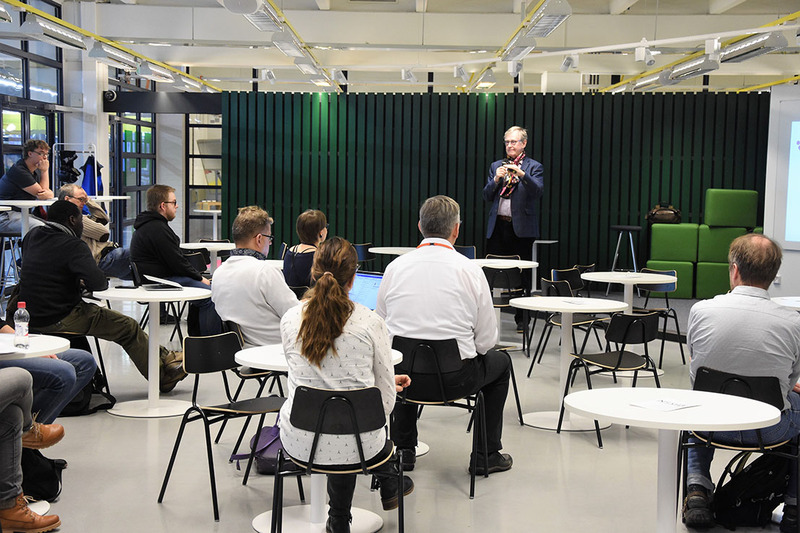 The event started with an introduction to the study program of Industrial Engineering and Management by docent Jukka Majava, and several specialized lectures and workshops on working life skills were given at the Tellus Ice Breaker Stage and lecture hall L2 during the day. 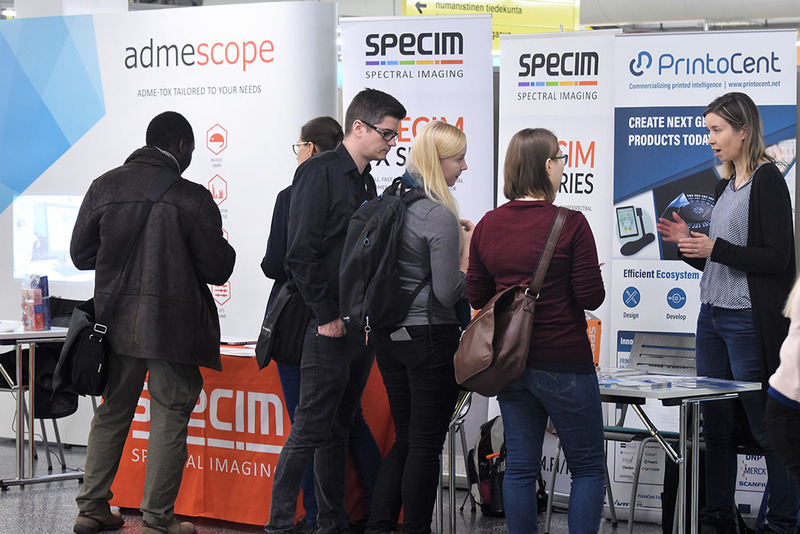 These included workshops on LinkedIn and Productization & product development, as well as lectures with topics varying from science communication skills to product marketing. 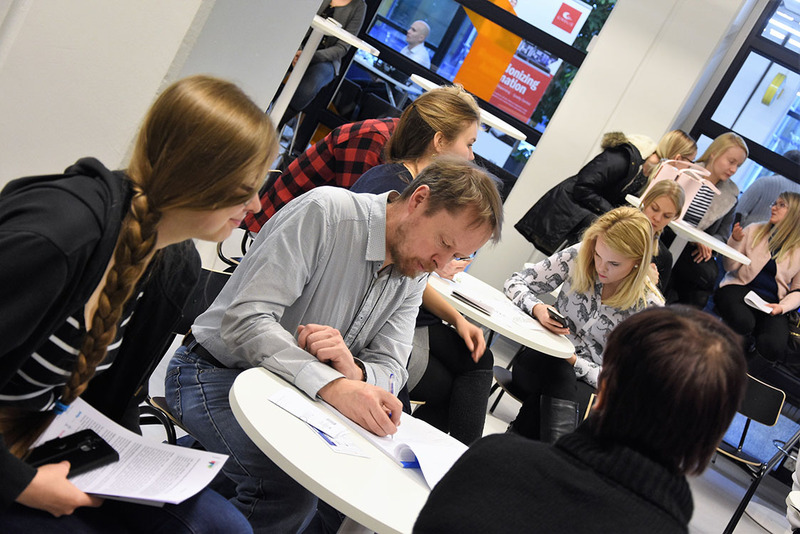 The day ended with the talk “So you think you can think?” by science blogger Pauli Ohukainen encouraging listeners to engage in healthy critical thinking. 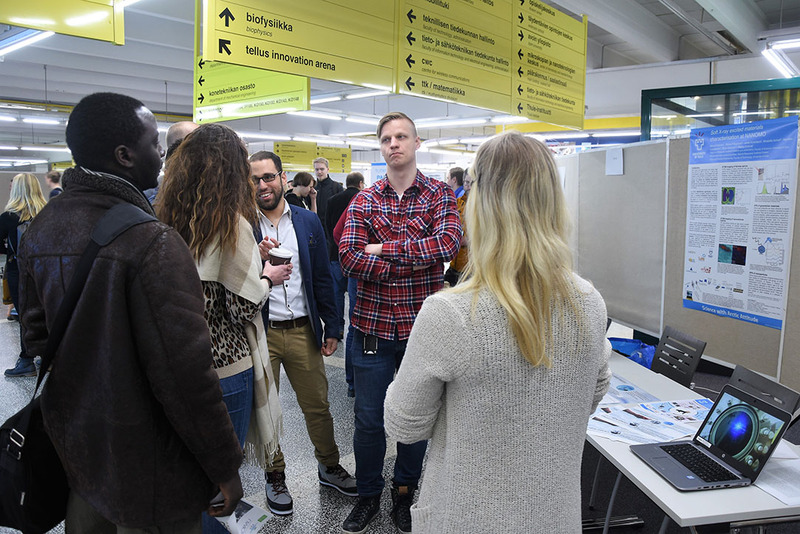 Around 30 company stands representing various disciplines of natural sciences were also present in the Väylä hallway during the day, and the visitors were encouraged to contact company representatives and to listen to company presentations and interviews by Jaani Mustonen in between the lectures.